We all know the story of the six wives of Henry VIII and how their relationships ended but what about the women who didn’t make queen but still captured the heart of the king? Amy Licence has set out in this book to look at the woman that Henry encountered. Amy Licence takes a chronological look at Henry VIII’s life we delve into the times of his life without Henry taking centre stage and let the women shine. We start at Katherine of Aragon and her marriage to Prince Arthur. An interesting theory is offered about whether or not their marriage was consummated. No spoilers here though you’ll have to read the book yourself to see it! We read how Henry and Katherine came together and reigned over the country in unison. Amy Licence also describes in detail how Katherine’s court was run and the pressure she was under to deliver Henry a male heir. The story continues with Henry’s infatuation with Anne Boleyn and how he juggled two relationships at once, playing the loving husband and father to his wife whilst acting as the doting lover to his mistress. The book also shows how Henry’s search for an annulment to his wife destroyed one woman and elevated another to the position of queen. We see how Anne Boleyn keeps the king’s interest in the years before their wedding in order to protect her virginity if she was indeed still a virgin! The fall of Anne is captured in a way that is easy to understand why she was charged with treason. Like Henry’s relationship with Katherine and Anne, dealing with two partners at the same time, we learn that Henry again repeats history by juggling Anne Boleyn and Jane Seymour. Licence debates an interesting theory for Henry and Jane’s hasty marriage after the death of his former queen; was Jane already pregnant? Following Jane there are two shorts sections on his next queens Anne of Cleves and Katherine Howard. Although short they are packed full of amazing detail of their relationships with Henry and how they came to be married to the King of England. The final section is dedicated to Henry’s sixth and final wife Catherine Parr how she forfeited marrying for love to accept Henry’s offer, the book covers how she was almost arrested for her religious beliefs but knew how to treat Henry to avoid falling into the same fate as many wives before her. We also see what happens to Catherine after Henry’s death. 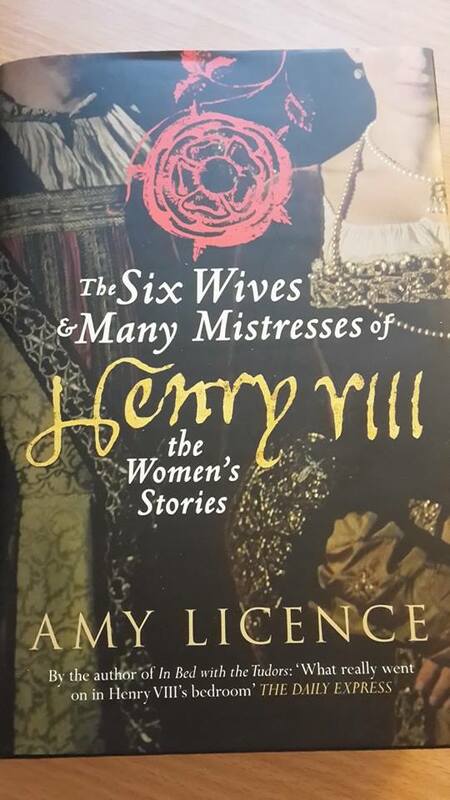 As well as covering Henry’s six wives the book also deals with the known and unknown mistresses of Henry as they happen within Henry’s timeline. We learn more about Bessie Blount and Mary Boleyn the only two women definitely known as Henry’s mistresses. Most importantly though we learn about the women that Henry encountered and possibly had relationships with. Perhaps the reason we don’t hear more about these women is that Henry was highly private as Licence discusses throughout. His attempt to protect his wives and his reputation means that we don’t know these women as well as we should. Henry truly believed what happened behind his bedroom doors stayed private. This book is highly recommended to anyone who wants to learn more about the women in Henry’s life from his well documented wives to the mistresses and potential wives we know little about. A book that is fascinating from start to finish, it is a book you’ll find difficult to put down as you want to learn more with each turn of the page. Previous PostOn this day in 1619 – Richard Burbage diedNext PostOn this day in 1555 – Death of Sir John Russell.